With the most innocent of intentions, I decided to post an Amazon “click ad” for my novel “The Dangerous Thaw of Etta Capstone.” If you have an ereader, you know the kind of ad I mean. The full screen ad that appears & wants you to click on it so you can learn more about whatever the ad is hawking and ultimately (of course) buy that item. Amazon in its omniscient, self-satisfied way knows exactly what you’ve been browsing on their site. 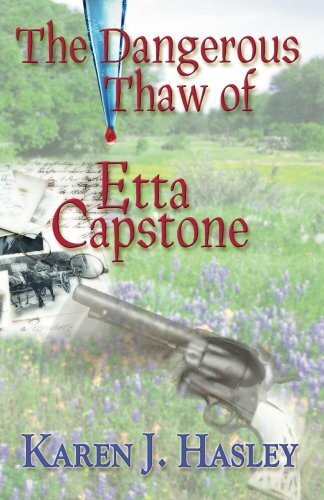 Knows, too, what you like to read, so any ad for Etta goes to readers who in the past showed an interest in the kind of book Etta is: adventure, Americana, western, historical romance. The best part is that I pay Amazon only when someone actually clicks on the ad. I’ve done it before, and it’s a cost-effective way to garner screen time and name recognition. ~ I am limp with relief and gratitude. Amazon, get a grip. The vast majority of my generation who came of age in the 1950’s & 60’s managed to survive seeing Matt Dillon shoot a bad guy EVERY SINGLE WEEK of our young lives without experiencing a moment of paralyzing trauma because of it, either then or now. If the sight of a book cover showing an old-timey six-shooter resting in a field of bluebonnets distresses someone, I’d venture to say that person needs more help than Amazon can offer. OK. Rant over. I feel better. I can go on. I will survive to write another day. Thank you for your audience, friends, and enjoy your day. 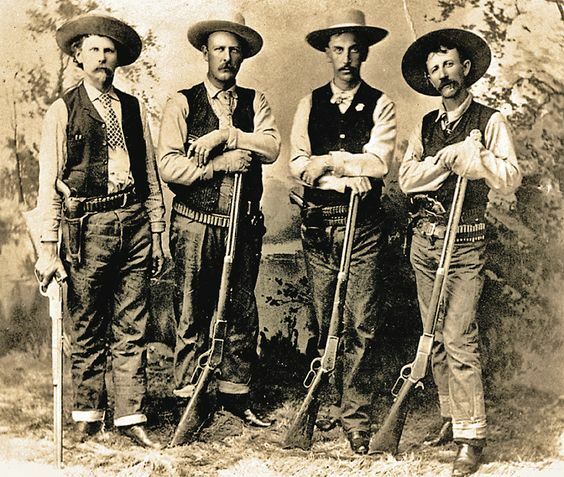 3 Responses to Amazon and Etta and Guns. O My. This PC society in which we now live would deny persons and events that no longer comport with its own perverted views, developed over many decades. We cannot change the world by tearing down statues, rewriting history, changing holidays, renaming roads, etc. We are all products of those who went before us, and it is important to have some understanding of who they were, what life was like for them, and what they had to do to survive. Sorry to see that Amazon has succumbed to a position that is supported by a misguided, but vocal, minority of Americans. ￼What would I do without Amazon serving as my conscience? Oh, I know – think for myself. I’m going to send Yosemite Sam after them. He’ll put things in proper context. Oh my, How I loved that book Karen.